Ties between India and Australia have always been a little constrained – and unsurprisingly so, as traditionally there has been little to connect the two countries. For its part, Australia has for decades sought to have a better relationship with India, one that extends beyond shared democracy, shared colonial history, cricket diplomacy, and the odd awkward Brett Lee movie. However, things could be looking up. The Australian government recently launched its “India Economic Strategy 2035” during the Indian President’s visit last month. The strategy is based on the 500-page Varghese Report, submitted back in July, which highlighted something that everyone already knows: that in this era of growing Chinese might, it is absolutely vital to see India as a key economic and geopolitical partner. Until now, with China as a behemoth trading partner, there hasn’t to date been much impetus to nurture India. However, a recently bumpy relationship with Beijing has again underscored just how important it is to have other markets in the mix. 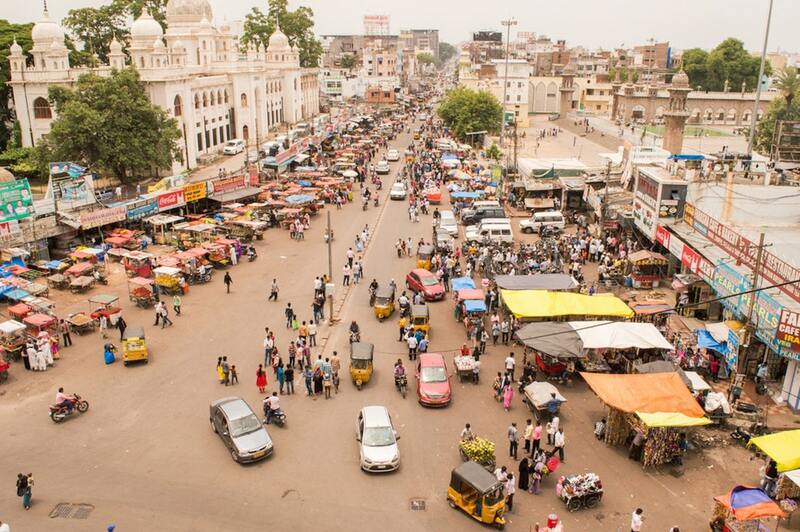 The economic strategy highlights key regions and sectors where Australians can invest in India. The government and the Department of Foreign Affairs and Trade both say they are deeply committed to the strategy: indeed, the Prime Minister Scott Morrison said when launching the document that India “offers more opportunity for Australian businesses over the next 20 years than any other single market”. He isn’t wrong on that count. India is growing at a rate of 7% per year, and increasingly, Indians are being lifted out of poverty, becoming better educated, moving to cities and even finding themselves with more disposable income than before. Spending habits have rapidly changed on the subcontinent over the past decade: for example, it would be difficult to find anyone, even itinerant labourers, without a smartphone. At the same time, demographics are rapidly changing. India has a youth bulge, meaning there is high demand for education, and jobs, at the end of that education. Australian pockets are not as deep as those of Tokyo’s, so a bit more nuance and good design is needed. A case study in an effective and powerful bilateral relationship, one that Australia would love to emulate, is that between India and Japan. Indian Prime Minister Modi recently conducted his third visit to Japan in his less than five years in office. Tokyo is investing heavily in India, including a planned $17 billion bullet train project between Mumbai and Ahmedabad. There is also significant defence and security cooperation, including plans to meet early next year to discuss sharing satellite data and surveillance information. Australia is elbowing its way in via the Quadrilateral Security Dialogue, which, along with the US, brings the countries together to discuss ways to counter China’s ambitions in the Indo-Pacific region. The problem is, of course, that Australian pockets are not as deep as those of Tokyo’s, so a bit more nuance and good design is needed. The recommendations from the Varghese report and subsequently the economic strategy breaks the India opportunity down into ten key states and ten key sectors. This is a wise move: India is extremely diverse – culturally, linguistically, culinarily, and societally, and looking at India as a singular entity is outmoded, even unacceptable. At the same time, the strategy’s potential for future success rests upon one thing: will. The private consensus amongst diplomatic circles is that a lack of political will is what has caused previous attempts to reach out to India to wither, such as the recommendations contained in the 2012 Asian Century White Paper. There is, without doubt, room for both the government and DFAT to embrace the strategy with more gusto and to work harder to engage the media and stakeholders to really drive home the message that India is open for Australian business and vice versa. At the same time, India is traditionally a difficult place in which to do business: there is bureaucracy, corruption, inefficiencies, and the difficulties involved in trying to introduce Western goods and services into regions that might not know what to do with them. If the government is serious about wanting to use this opportunity to get more Australian businesses into India, it needs to make it a priority. With the likelihood of a change in government next year, the department should be highlighting India as a major part of its incoming government brief. The core of the report is a “sectors and states” framework that recognises India’s diversity and maps out areas where Australian businesses are likely to succeed. Australia also plans to expand its diplomatic presence in India by opening a new Consulate-General in Kolkata in 2019. The city in the country’s east – the erstwhile capital of the British Raj before it was shifted to Delhi in 1911 – is geographically well-connected to the mineral-rich eastern states, and the emerging north-eastern region. Education has been singled out as an area with perhaps the most potential. With 600 million young people in India, there is a fast-growing demand for education: Australia hopes to be in a position to provide at least some of this. Early measures include setting up a digital education hub for Indian students, collaborating on curriculum design and strengthening links with Indian universities. Another key sector is agribusiness. Australian producers are already making inroads into India, such as companies tapping the market for canola oil. One plan is to create an Australia-India Food Partnership, while another is to develop a pilot program for Australia to collect and disseminate information on pulse crop production to Australian farmers. Tourism has also been highlighted. By 2025, the number of Indian tourists to Australia is expected to grow four-fold, from 300,000 in 2017 to nearly 1.2 million. The cooking show Masterchef Australia can probably take a bulk of the credit for this: it has had massive soft power success in getting Indians interested in Australia, in fact helping to shift the narrative about Australia. The states, representing a geographic spread across the country, include those with the biggest local economy (Maharashtra), the biggest population (Uttar Pradesh), the territory containing the capital New Delhi, and Punjab, the state with arguably the most prominent diaspora community in Australia. The state with the highest literacy rates, Kerala, is not on the list. North Korea is thus using ballistic missiles as a form of diplomatic semaphore, in keeping with long-standing habits.